The results of the 2016 November/December Senior School Certificate Examination have been released by the National Examinations Council (NECO). Speaking on Tuesday, February 21, at the council’s headquarters in Minna, the registrar/chief cxecutive of NECO, Prof. Charles Uwakwe, said the release of the results is coming exactly sixty days after the exams were conducted, the Punch reports. A total number of 46,024 candidates sat for English language with 33,303 credit pass representing 72.34%. A total of 45,574 students sat for Mathematics and a total 39,454 candidates got credit pass representing 86.54%. In the analysis for the candidates’ general performance by states Ogun state has the best result as 5,183 students obtained five credits and above in all subjects representing 91.13%. Zamfara had the worst result with only 59 candidates obtaining 5 credits and above representing 25.65%. A total number of 7,699 candidates representing 16.3% had malpractice cases. Abia state had the highest case of malpractice with 953 candidates representing 12.37%. 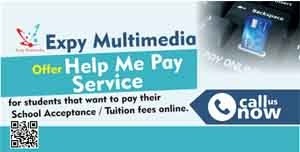 Edo state had the least record of malpractices recording only 8 case representing 0.10%. English had the highest case with 1,162 candidates involved. 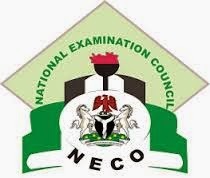 Candidates have been advised to access their results on NECO website www.mynecoexam.com, using their Examination Registration Number and scratch cards. 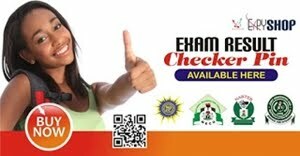 Candidates can now buy NECO result checker PIN online at affordable price from Expy Multimedia. Candidates searching for where to purchase PIN and serial number for NECO result checking can now reliably get it from ExpyShop.